Deep Fryer is widely in confectionary, bakeries, fast food outlets and restaurants for deep frying of chicken, French fries, potato chips and so many other food items. Further, these fryers are available in certain guidelines for avoiding the chances of deep frying injuries at homes, hotels, restaurants, foo centers and other areas. Further, our provided fryer has stainless steel wire grill with a rubber handle to protect hands from heat. 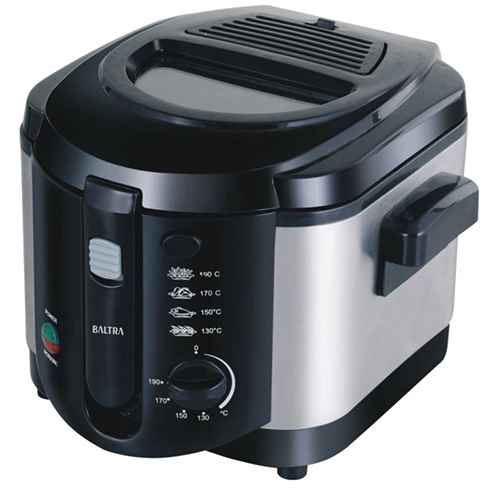 Our provided Deep Fryer has adjustable temperature control regulator, immersed heating element to provide crispy and fried results and detachable pan for easy cleaning. Removable Lid with Carbon Odour Filter, Non-Stick Coating for Easy Cleaning, Easily Fries Burger, Checket, Potatoes & More, removable Frying Basket.